Chris took this photo when we were in Brewers Bay, at the little stretch of beach below our villa for the week (the white house in the background peeking out of the trees). 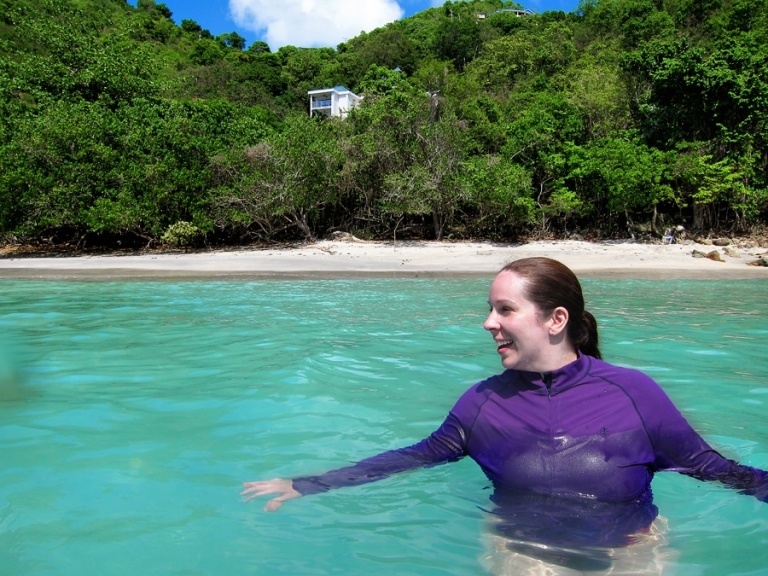 Some behind-the-scenes fun facts for you: the water wasn’t as clear as it was at other beaches, so in addition to being happy in this photo I’m also a little freaked out and nervous-laughing! Also? I’m totally wearing water shoes because I really don’t like getting in the water without shoes.